On March 11, Senator Patty Murray visited Recovery Café to take a tour of our beautiful space and announce her recent efforts to address the mental health aspects of the opioid addiction crisis. As you know, our community, state and nation are facing an epidemic. With the addiction numbers and related tragedies increasing, the situation can feel overwhelming. 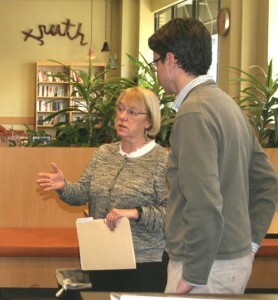 The Seattle Time reported on March 1st that here in King County more people now enter detox for heroin than for alcohol. In 2014, overdose deaths from heroin reached 156— the most in 20 years. Among the homeless, overdoses are the leading cause of death. These statistics are represented by people we know and love here at the Café. Our Members represent people currently struggling with opiate addiction and those who are in recovery from it. We know there is HOPE. People can and do recovery. With the right resources and support, recovery is possible. We know that to successfully end this epidemic it is going to take a comprehensive, well-funded and compassionate response. 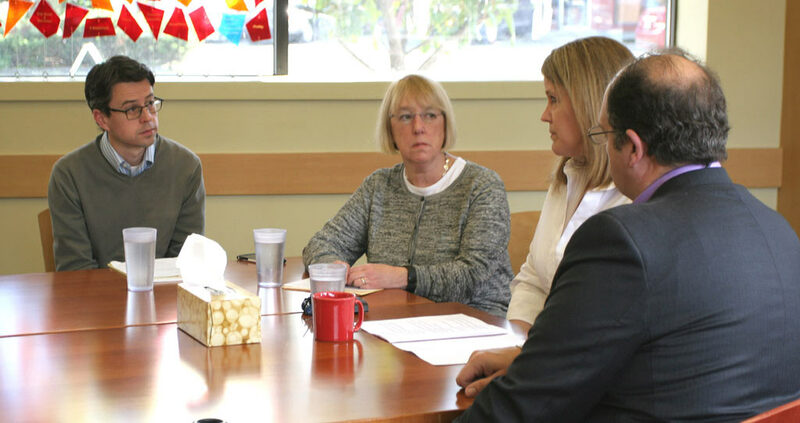 We are grateful for Senator Patty Murray’s visit, and especially grateful for YOU – for helping provide the support that women and men struggling with addiction need.